If you are an athlete or someone who exercises regularly, you put yourself at risk to get an injury every time you train, practice and play. Many athletes and people who train regularly consider chiropractic care an effective treatment for injuries or prevention of them occurring. These treatments focus on the problems without the person needing surgery. Chiropractors can give the patients exercises to treat injuries and prevent further damage to the body part. This will help them heal from the injury and also prevent the injury from reoccurring. 1. Increased range of motion – when your spine is not aligned or if your muscles spasm and cramp up, you will probably have a decreased range of motion. By the chiropractor’s adjustments and by giving you corrective exercises, you will be able to notice an increased range of motion. Proper sports rehab can help your body move the way it is designed by decreasing pain and improving overall movement. 2. Fix imbalances – one of the biggest causes of injuries in athletes is imbalances throughout the body, which is where specific parts of the body are overactive and others are not so active. This will cause stress and asymmetry and result in strength and movement issues. Chiropractic adjustments will help your body get properly aligned along with receiving soft-tissue work and corrective exercise to fix the dysfunctions in the muscles. This combination will help you receive the best benefits of sports chiropractic treatments and it will ultimately reduce the risk of injury. 3. It will help you heal faster – when you get injured while playing sports, your body tends to protect itself by creating muscle spasms and inflammation. This often increases the amount of time it usually takes for the body to fully heal. Chiropractic care and sports therapy helps aid the healing process and will speed up the recovery time of the injuries. 4. It will decrease pain – the spine contains many pain-sensitive tissues, like the joints, muscles, nerves, and ligaments. So, when these are misaligned, it can cause quite a lot of pain. In a recent study covering the effectiveness of spinal manipulation, researchers found that chiropractic adjustments can help reduce the intensity of acute low back pain. Although some of these techniques that are used to break up myofascial adhesions can be a little bit uncomfortable, the benefits you will eventually receive are absolutely worth it. 5. It will enhance your athletic performance – a combination of sports rehab and chiropractics helps athletes achieve a higher level of performance. By following an extensive program for athletes that include sports therapy and chiropractic care, an athlete can not only recover faster but will eventually end up performing better. 6. It is a medication-free treatment – for athletes and people who would like to avoid prescription medicine or surgery, chiropractic care is a great non-invasive, medication-free option. The care of chiropractic along with physical therapy can help you recover from injuries without the need for painkillers or any kind of invasive surgery that can have a more negative effect than benefits. 7. Chiropracticioners can treat a variety of sports injuries – chiropractics are great for treating injuries from high-impact sports such as football, basketball, soccer, and hockey. But, it is also equally helpful for athletes who play low-impact sports like golf, baseball, tennis, and bowling. 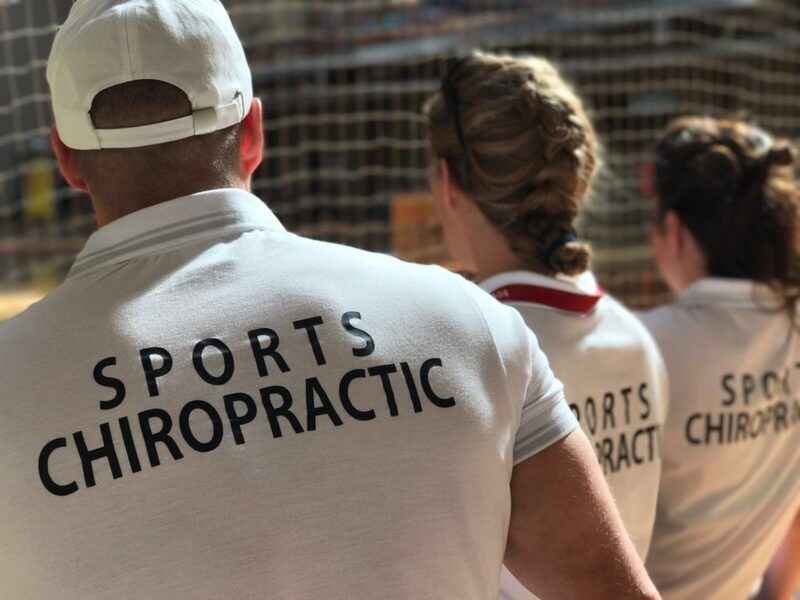 In the end, it is a great option for all athletes which is why every professional team in the sports world has at least one team of chiropractors. If you are an athlete, you probably want your body and performance to be in the best condition. Chiropractic care can help you deal with sport-related injuries, as well as improve your overall performance and mobility. If you are a runner, athlete, or fitness professional you will probably want to consider going to a chiropractor to avoid an injury or help treat one.